Nora’s mission had been demanding. She wanted to find a way for women to rediscover their true selves, denied to them throughout the centuries ‒ and to make the world a better place. When the young girl Aideen asks Tunde if she may come to Lemuria, Ontario and learn about the beginnings of the Norean Order founded in 1998, she agrees. Tunde’s preoccupation, however, is with the smooth flow of the ‘Gathering’ symposium of 2066. Women from all the Sanctuaries throughout the world are in attendance and await the momentous event: the opening of the Portal to the Outerworld. She has little time to spend with Aideen who unravels layers and layers of stories found in letters, articles, diaries, newspaper clippings and videos about the struggles and triumphs faced by Nora’s family and by the Order itself. What Aideen also detects is something she considers to be mystical ‒ that no one wants to acknowledge. “I found Lemuria through your web site — with colourful origami birds flying into a temple window enticing me to follow. I have to say I was drawn in. It has a kind of charmed energy that made me feel like I really needed to search farther and deeper into the content of the web page.” Aideen wanted to confirm what Lin Yao had just described. Once she got back to her room, Aideen realized that it had been a very productive day. Finding Lin Yao was like receiving a surprise gift. First, you are overwhelmed by its sheer unexpectedness. Then you have to wade through all the layers of ribbons and paper and box to finally find the gift itself. And only much later, when you can be alone to relive the moment, do you begin to appreciate the value of the gift, in its entirety — including the astonishment of it. She understood that meeting Lin Yao was not only seriously significant but also an absolute joy. “How kind and considerate and calm and radiant she is”, Aideen recalled. “She really has a way to draw you into her world. She called the place her meditative pergola. That must be why she goes there each day — to contemplate.” Aideen’s thoughts raced quickly now as she wondered if Lin Yao had special skills which she hadn’t yet revealed. It was time though for her to meet Rhianna and Tunde for dinner, so she quickly showered under the open window of the sky-light. She was mesmerized by the fragrance of the spring foliage and chuckled at the chattering squirrel that was peeking in over head. Tunde sat at the back of the great dining hall. She had thought of wearing her gray caftan but at the last moment she threw all caution to the wind. She played back in her mind how she had pulled out the long, silken box from under her bed, as if performing a ritual of serious consequence. She remembered how she had gently opened the box and folded back the delicate mauve tissues which covered its contents. She thought about how she had removed the treasured garment in absolute reverence and had held it up to her, caressing its soft folds against her skin. He had always known what she liked. She knew she had to wear this sea-foam blue gown with a hint of lilac, this evening. He would be pleased, Tunde thought from her vantage point. From this back seat, she could see everyone’s comings and goings. The hum of three hundred voices speaking so many different languages drifted high above the dark wood rafters into the peaks of the white ceiling. Unlike the first evening, when each group had sat together within the comfort of their own Sanctuaries, tonight the profuse colours of gowns flowed in muted shades, fusing with each other just as the harmony of their animated voices merged while they discussed the day’s events. At the touch of Rhianna’s hand, Tunde came back from her spellbound state. Can you share with us a little bit about your writing process? Because I’ve never tackled a large piece of writing before, and because I tend to be very methodical, once I decided on the concept of the novel, I set about writing a general story line. A chapter by chapter sketchy outline flowed from this. You will perhaps see that there are many symbols throughout the novel, including the time frame of the 2066 Gathering symposium. The research was ongoing: finding the appropriate names for the characters; delving into life events that took place from the late 1990s onward; looking for specific topics which the key note speakers would address that would also link to the future; addressing issues that had significance in other parts of the world; and finding connections that would weave through all the seemingly dis-associated happenings throughout the novel. To my utter astonishment, I continued to find in my research lovely, unexpected pieces that added to, as well as strengthened the story line. One specific discovery was the White Stag which plays a significant role all through the novel. I knew nothing about such a wonderful beast, which in fact is a mythological creature with roots in my own Hungarian heritage. The entire writing process was uplifting. If the truth be told, I’m not sure I wanted to come to an end. The greatest joy was my discovery that at some stage, the characters, the events, the story line itself all began to take on a life of their own. While the author does need to orchestrate these meanderings, for me this is the best gift and magic of the writing process. Where did you get the idea for The Women Gather? My career in the Canadian Federal Government spans a 30 year period in the social services area. As my biography indicates, I have worked with major national organizations, including seniors' and women's non government groups, academic and religious institutions, the health care field as well as others. On looking back at all my experiences, it was clear that most of my dealings involved women ‒ whose voices were generally dismissed. My last years were spent as program manager on issues concerning violence against women. In Canada, 1989 marked a horrible tragedy. 14 young women attending the School of Engineering at École Polytechnique, University of Montreal were systematically murdered by a man who wrote in his suicide letter: "...I have decided to send the feminists, who have always ruined my life, to their Maker." The outcry to this horror from women's organizations who came together in a united voice, influenced government approaches to address the issue of violence against women. Ten years later, women's organizations and their voices were starting to lose momentum. Twenty years later as I was conceiving my story line, it was again getting difficult to be heard as a woman. While I continue to believe that the world needs a balance of both women's and men's voices to affect necessary change, somehow we are not taken seriously. I therefore started to weave my story. What if some of us who feel this way could just take the time in a sheltered environment and explore what our histories are about as to why women continue to be perceived  (sometimes even among ourselves) as not quite smart enough, not quite committed enough and not quite worthy. I didn't intend this novel to be 'Feminist' per se, but rather 'Utopian'. I believe that we as women have strengths which we have barely tapped into. We have tremendous insight and are very much aware that there exists a mystical life force within us and around us. What if we consciously began to explore all these things in a sheltered setting free from other responsibilities? Wouldn't we find great truths about ourselves and our abilities and our intuitive facilities ? And if we had finally learned about and accepted all that as proof of who we really are, would we not as a group be confident enough to go back into the "Outerworld"? Would we not then acknowledge our inherent right and stand strong as equal partners beside our male counterparts, capable to work on any and all issues, that would help lead towards world harmony? I expect there are other ways we could accomplish this, but this was the approach that my imagination chose to pursue. What character was your favorite to write in The Women Gather? What an impossible question? My characters started out simply by me identifying ‘meaningful’ names for them like Tunde which means ‘fairy!’ At the outset, they were pretty much just ‘cut out’ characters. They came to life very quickly to my great delight and I think became quite three dimensional. I care for most of them, including for Veryalda, in one way or another. Initially of course Nora was the one with whom I felt comfort. She was the real life ordinary woman with whom the story began, and who became a legend. Then Tunde started to develop a personality who put a smile on my face: serious with a mission but so very nurturing toward Aideen. I rather consider her the lead character depending on my perspective. Lin Yao gives me a sense of completeness; we get to know all about her from the time she is adopted until she is an older lady and still alive in 2066. I loved writing bits in Lin Yao’s Diary because you get to peek into her youthful naivety and her dreams. When we see her as an older woman, I think of her as how I would like to be: wise, understanding and a tad mysterious if not mystical. But, if I must choose a favourite, it would have to be Rhianna. There is such a spark in her, such gumption visible only here and there; she had a lover whom she lost through death but she chose to mark that with life course with a new beginning. Her own story is part of the mystery and the mystical. I keep trying to find it. In the winter, I must admit it is in my tiny office and my large screen computer with a key board. My chair is right beside a window and I can look out over the roof tops and trees covered with snow. I need to be able to look away from the computer screen from time to time and connect with the world around me. I am often distracted though by my cat Oliver who plunks himself on the desk, directly in front of the screen, demanding my attention and affection. In good weather, I like to sit in a comfy wicker chair and work on my laptop in my covered porch. Although I live in a small Canadian city, on this porch it feels a little like a cottage, away from business. Oliver takes another chair and is content to be near me. Although I do need quiet solitude when I write, Oliver’s presence connects me with something warm and comforting. I am grateful to belong to a book club, because it gives me a chance to read novels I might never pick up on my own. I have to say that one of the other reasons I joined was so that I could indirectly hone-up on my writing skills by seeing the work of other writers. One of the novels that most impressed me is “Pope Joan” by Donna Woolfolk Cross. Joan was a legendary female pope who allegedly reigned for a few years some time during the Middle Ages. The story first appeared in 13th-century chronicles, and was subsequently spread and embellished throughout Europe as well as squelched and deleted by the church. In addition to finding such a potential historic nugget which I would like to think that the Norean Order researchers in “The Women Gather” would have championed, I was also intrigued to discover that the author had quite the time to market her novel. Something about which I am beginning to discover a thing or two. If you could travel one place in the world, where would it be? Assisi in Italy. I have been there twice. It emerges in the distance like a mirage, far off on a hill in the heart of Italy, in the magical region of Umbria. A mediaeval city first Christianized in 238 AD, Assisi is an unexpected oasis. I first heard about the place in the early 70s through the glorious film called ‘Brother Sun Sister Moon’ written and directed by Franco Zeffirelli. The place is as enchanting as the film. It is impossible to explain the feeling of utter wonderment as one walks through the up-hill climbing, narrow, meandering, ancient cobble stoned streets lined with delightful stone homes and gardens, and finally reach the piazza at the top which houses among others the Basilica di San Fancesco. The panoramic view of the valley below is breath taking. This was the home of St. Francis who gave up his family’s wealth to found the Order of Friars Minor, or the Franciscan Monks. (Hmmm! There must have been subliminal messages left for me to create the Norean Order.) I was pleased that the new Pope chose the name Francis. Assisi calls me to return once more. What is the most important lesson you’ve learned about writing? There is deep magic that steeps into the work as the characters and story line evolve and take on their own entity. But, there is also a huge sense of loneliness involved in the process. One inevitably shuts out the world and becomes immersed in the content of the work. Over arching all this is the reality that discipline and commitment are required to keep writing on a regular basis. This is a lesson I am gradually trying to grasp. Is there something you do that keeps you balanced in your life as a writer? When I relocated from Ottawa, the capital city of Canada, to my current home ten years ago, I needed to feel that I could recapture a sense of belonging which I had experienced previously. As a newcomer, I joined various different groups that still hold my interest. I take classes at a local college, write a monthly column for a community newspaper Seaway News. belong to the Probus Club, and the Canadian Federation of University Women’s local chapter where I am the current president. I also enjoy the artistic community which holds various theatrical and musical performances all year round. I do think that one needs to continue to learn in one way or another, else the well runs dry. I am not sure though that my life is all that ‘well balanced’. I continue having to remind myself that writing is what I want to do more than all the other busy things that creep into my daily existence. W hat is your life motto? Any message for Indonesian readers? I am an ordinary woman. I don’t have any more wisdom than others like me. I’m not an activist, just a quiet voice that sees the world around me, and hopes that humanity can evolve. Over the years, through my work I have come to better understand the struggle that we women and women’s organizations face in my country, and in other parts of the world. The representation of women in positions of even minimal power is atrociously low, including here in Canada. Grass roots organizations, generally comprising women’s groups, struggle to survive financially owing to economic uncertainty and government cut backs at all levels. In as much as I believe we have come a long way if we look back 70 odd years or more, we seem not to be moving forward at any appreciable pace. I wonder what the world will look like 70 years from now. I tend to think that every generation has to be educated ‒ all over again ‒ just as those of us were, who are older. Awareness raising through education is the only approach I can offer. We continue to need to learn about who we are, what we want the world to look like for the next generation and find ways that we can influence the younger ones to hopefully have enough knowledge to move towards a next step in our equality. The world of technology is at their fingertips. What an exciting brave new world. In my novel, “The Women Gather” Tunde throws the torch to young Aideen. The other side of me says, there is still a few good years left in me to get my message out. All the best to each of us, wherever we are in our life journey. You can win a copy of The Women Gather via Rafflecopter below. 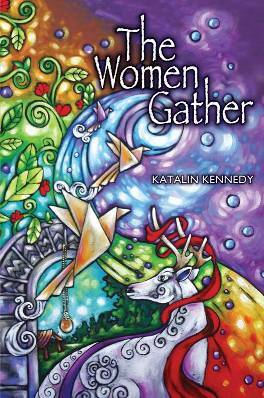 Posted on April 29, 2013, in Uncategorized and tagged book tour, Katalin Kennedy, The Women Gather. Bookmark the permalink. 4 Comments. Hi Yuska, Many thanks for hosting Katalin today on lust & coffee. 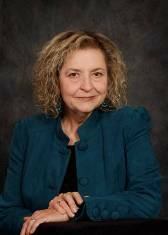 She is thrilled to have been interviewed by you and have an excerpt of The Women Gather on your site. Katalin will be by later in the day to respond to any questions and/or comments you or your readers may have. To all readers, please take a moment to enter the giveaway to win an autographed copy of The Women Gather. Please join us tomorrow, Wednesday, May 1st when Katalin will be hosted Kreating Krazy One Day at a Time http://www.stephanieworlton.blogspot.ca/. Be sure to stop by. Thank you for the lovely interview and a copy of The Women Gather. I love the cover 🙂 Best of luck. Thank you so much for the rare opportunity. It was a fun interview. Looking forward to reading The Women Gather. I’m sure it’s a fun and delighted reading.